We love Indian food, and it’s no secret. Although I’m no expert, making curries at home isn’t as hard as it seems, and is a great way to bring the exotic flavors and comforting warmth into your own kitchen. Since I’m still learning, I was thrilled to find a simple curry dish combining sweet potato and cauliflower with chickpeas in a creamy sauce on none other than the Kraft Canada website. Surprisingly, this dish gets its creaminess from a cucumber dressing, which is a nice shortcut, especially since Kraft makes a light version to help cut calories. I went the easy route here, and used both frozen onions and cauliflower. 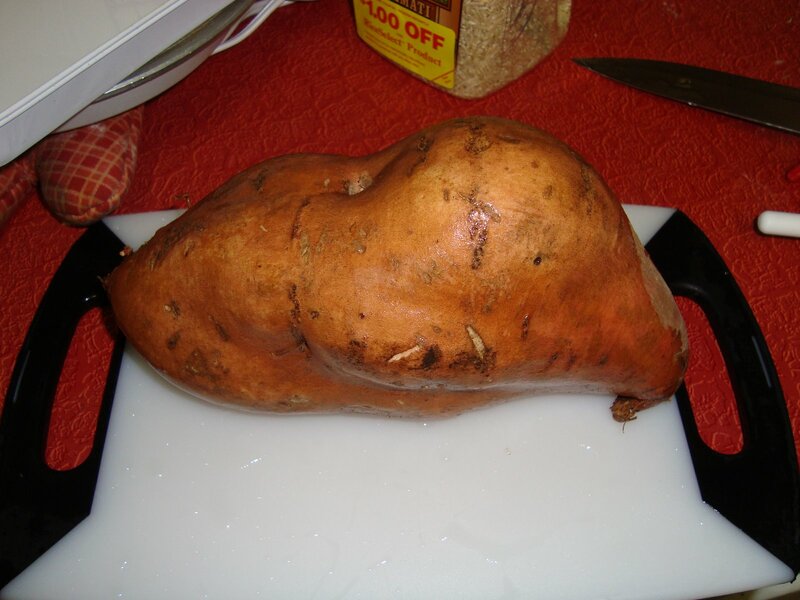 Although this recipe calls for 2 sweet potatoes, I only used 1/3 of mine, due to it’s Schwarzenegger-like physique. We both loved this, although it was a little too much chickpea for me, which is an easy fix, and this was just as wonderful the next day. 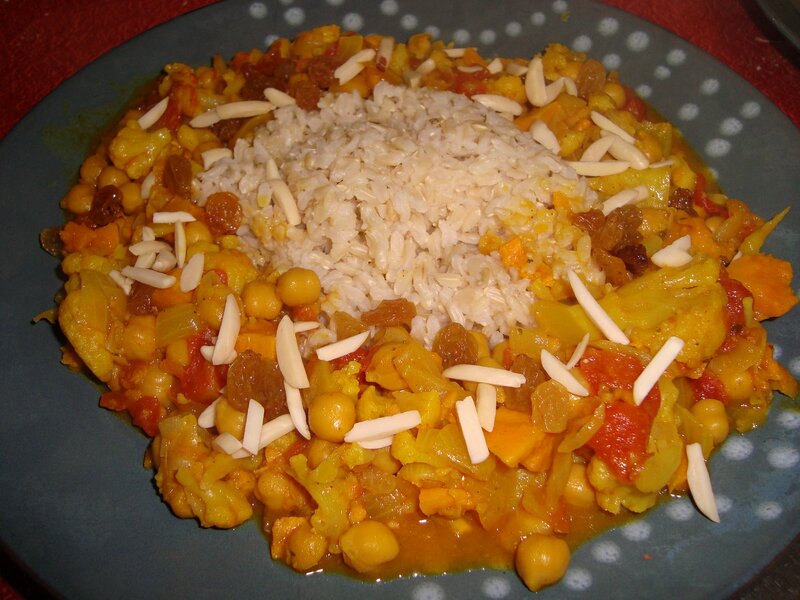 We sprinkled ours with some golden raisins and slivered almonds, and ate this with brown Texmati rice. Heat 2 Tbsp. of the dressing in a dutch oven on medium heat. Add onions; cook 5 to 7 min. or until tender, stirring occasionally. Add curry powder; cook and stir 1 min. Add in sweet potatoes, cauliflower, chickpeas, tomatoes and water; mix well. Bring to a boil. Reduce heat to medium; cover. Simmer 20 min. or until potatoes are tender. Remove from heat. Stir in remaining dressing. Serve over rice.